I’ve been puzzled and frustrated by the use of audio in rapid elearning products for a long time. It’s not that I dislike all audio, it’s just a lot of time it doesn’t seem to have a lot of purpose or value. I don’t want to hear the words being read out – even if it is with good emotion and balance from a professional voiceover. Explanations in audio can come across as being told or even worse – condescending. And sometimes I’m left downright confused as to why most of a narrative is in text and then it switches to audio in places to ‘mix it up’ or ‘provide variety’ – or worse still cater for ‘auditory learners’. Uggg get rid of those false learning theories!! Other times there is audio in the background like elevator music. But how do you pick a track that everyone likes and it’s at the right volume level? How can you stop it from being distracting or annoying? Unless there is some other purpose or way it adds value to the atmosphere a generic background track often backfires and you can end up doing edits on reviewer preferences. It’s not all bad news though. There are ways using audio to add value to a story or scenario. Background audio can add value to a scene by making the story or interactivity more believable. For example, if you have a branching scenario set in a café, restaurant, office, hospital, why not provide realistic background audio of that setting to help create the environment. Audio to give feedback on an action is so common that we often don’t really notice it until it’s missing. An example of this is product design. Imagine using a camera with the digital screen off, how do you know when you’ve taken a photo? Using a washing machine how do you know when you’ve changed the wash settings? Typing on a keyboard how do you know you’ve successfully pushed the letter key down hard enough? All of these products could be designed without sound but what problems would that silence cause? Digital game design is also interesting to look at for audio feedback. Why not play a digital game and record the audio. Replay it back to listen how the audio communicates about different actions. Or even play an audio game to listen to the power of audio. How can you add audio feedback into rapid elearning design? Where would it add value? There are some activities where it seems logical to have audio and scripting. An example of this is a phone conversation or scenario. Why build a text based phone scenario? In the real world phone conversations are about listening not reading. Much better to include audio. You can make it more realistic by adding phone noises such as rings before scripting the conversation or scenario. Poignant audio sounds and tracks can be used to create emotion and tension. Professional voice artists can also be very effective in conveying emotion in conversations. Listening to movies with your eyes closed is a great way to sense how audio can create emotion. Listen to this famous track for creating emotion. Do you recognise it? In my opinion use audio and use it to create depth! Make audio have a purpose. Use it to make a story or environment more believable. Don’t use it just because you can. Audio needs to be thought about just as carefully as the words, videos, or images in a rapid elearning product. What are your thoughts on audio, what are some ways you’ve used it? I’d love to hear some examples. What has and hasn’t worked for you? Audio feedback and sound is important to let us know if something has worked. Camera shutter sound: A camera clicks once a photo is taken. With modern devices you can often turn off this shutter sound. Using an unfamiliar camera with the shutter sound is off can make it confusing to tell if the photo was taken or not. The instant audio feedback of the click is not available. Games: a wrong response usually has a wrong sound and a correct response a correct sound. From the audio feedback the player quickly learns to either change tactic or keep doing what is working. Modern electrical appliances: for example, my fridge door beeps when it’s left open, my washing machine has an error sound if something is wrong with it. Vehicles: many cars and trucks have reverse beeping to let you know (and others) which direction your vehicle is going to move in. Some cars even have reverse sensors where the beeps get closer and closer together the nearer you get to an object. Interestingly with the advent of electrical cars, engine sounds had to be added to them to prevent pedestrians from walking out in front of these quiet cars! 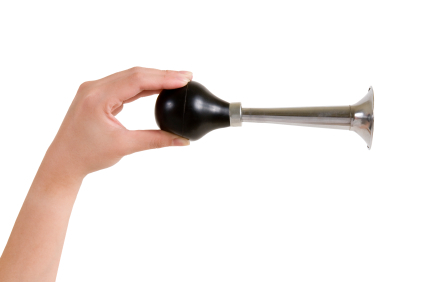 And then of course there’s the car horn which you can use to give other drivers immediate feedback (peep peep = thank you, beeeeeeeeep, beeeeeeeeeeep = #%*&#!!). So why is audio feedback useful? One reason is that is stops the learner/user having to expend unnecessary cognitive energy and time in assessing if they have got an answer correct or not, as they get immediate feedback (can hear) if their answer was the correct one. 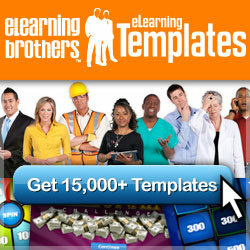 Have a look at these elearning activities. One has audio feedback and one does not. What difference does it make? 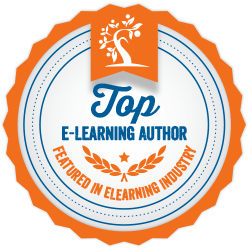 What are your thoughts on having audio feedback in elearning?